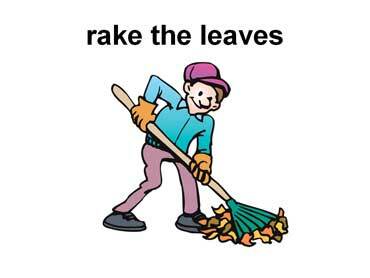 He is using a rake. In autumn, leaves fall off of the trees. 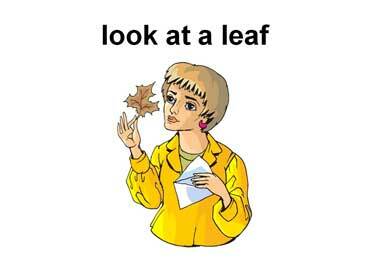 The woman is looking at a brown leaf. The leaf fell off a tree.